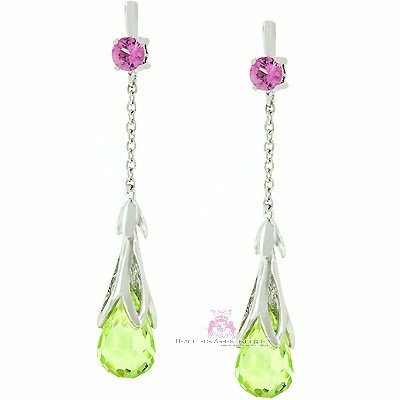 White Gold Rhodium Bonded Earrings with Prong Set Round Cut Pastel Pink Ice CZ and Light Clear Green CZ in Silvertone. Picture shows darker color stones than they are. Very high quality.